Based on a presentation by John S. Bishop at the Octagon House Sesquicentennial Celebration in 2004. The story begins with Frederick Plumer Currier. Born in Vermont in 1812, he left the family farm at the age of 19 to pursue various occupations, studies, and business ventures which prepared him for his later entrepreneurial pursuits in Michigan. In 1837 he married Mary Carter and they had 4 children, one who died at a young age. In 1844, Frederick and his brother, Moses, made an exploratory trip to Michigan to assess the business opportunities, which they found to be very good in Lapeer County. In 1846, Frederick came to Michigan to stay, settling in Almont. His wife and family joined him in 1847. Frederick’s first venture was to build a starch factory to utilize the potatoes grown in the area. Later, he was part of a foundry and machining business that manufactured farm implements. He also was involved in banking, and had many real estate holdings. In 1854 he built the Octagon House using the octagon style of architecture popularized by Orson Fowler in the mid-19th century. With Frederick’s construction experience, it is assumed that he designed and built his own home with assistance from local carpenters and masons. Many features typify the sturdiness and design of the home, such as the fieldstone walls in the basement which are one and a half feet thick, the hand-hewn beams, visible in the cellar, supporting the upper structure, and the large, full-length windows on the first floor which create a light and airy feeling. Frederick’s wife, Mary, died in 1889 and shortly thereafter he married his brother, Moses’ widow, Mahala Doe Currier. Frederick died in 1900 and at that time Moses Alonzo Currier (his nephew and now his step-son) returned from North Dakota with his wife, May, to live with his mother, Mahala, in the Octagon House. Mahala died in 1912. The afore-mentioned facts and history are extracted from the book, “An Octagon House for the Curriers” by Melanie Meyers and Frank Angelo. Moses and May ran a general store, first in Almont and then in Capac for many years until Moses’ death in 1935. May lived in the Octagon House until her death in 1960 and then it was bequeathed to her two grandsons, Phillip and Jim Currier. Both lived some distance from Almont which led them to, reluctantly, sell the house to Mary and William Hahn who fully appreciated the uniqueness of the house and carefully handled the modernizations they performed. Mary Hahn died in 1974 and William Hahn lived in the house until his death in 1985. The proceeds of the Hahn Estate went to the Community Hospital Foundation and ultimately to the Four County Community Foundation while the Octagon House was returned to Frederick Currier IV and the Currier Family. Local resident and 4CCF supporter, David Bishop, had a long-lasting friendship with the Currier family through summer vacations on Bois Blanc Island in the Straits of Mackinac. He initiated some discussion with Frederick Currier IV about Four County Community Foundation acquiring the house. Discussions were on-going for some time and after Fred’s untimely death it was eventually worked out the house would be acquired from his estate. Fred’s brother, Robert, and his wife, Marilyn, helped make the acquisition possible with a generous donation. 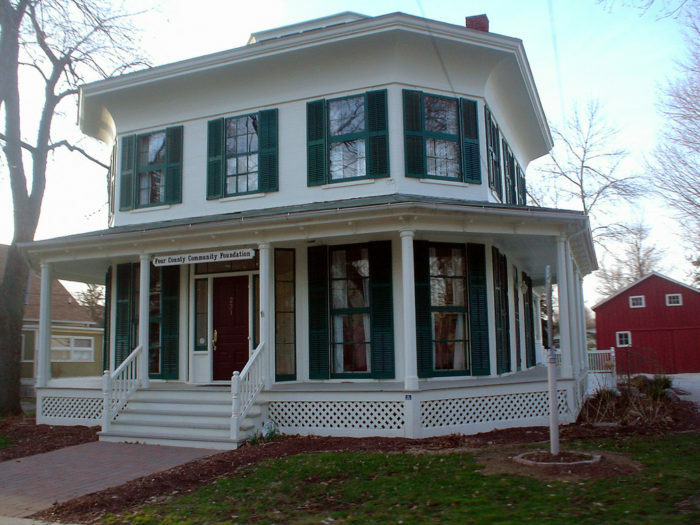 Four County Community Foundation acquired the Octagon House in 2000.  It is symbolic that the solid foundation of the house lasting over 160 years is representative of Four County Community Foundation.